My name is William Blakely and I’m 17. I have cerebral palsy and have to use a wheelchair. I like to try new things and I especially like to try things that might get me hurt. My mom says I am “Badass”. 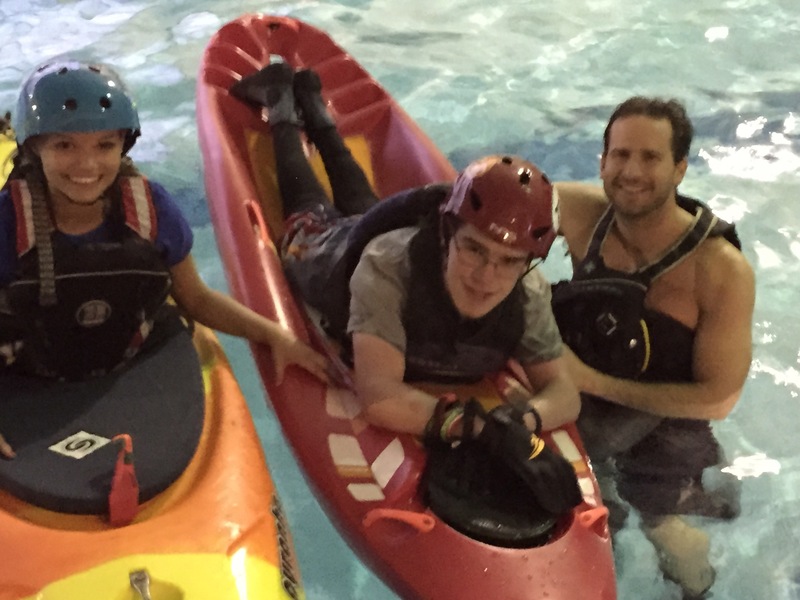 I first paddled a regular kayak in February of 2014 and it was hard for me because of the spasticity in my legs and the metal plates in my hips. 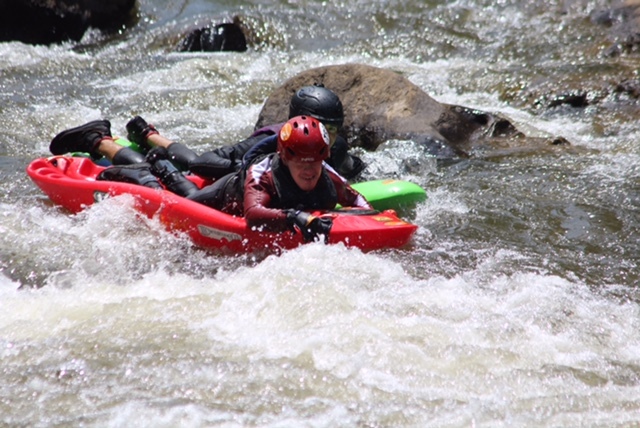 Then, in March of 2014, I demoed a Bellyak at Team River Runner roll practice. My mom saw how much I liked the Bellyak and got me one for Christmas in 2014. 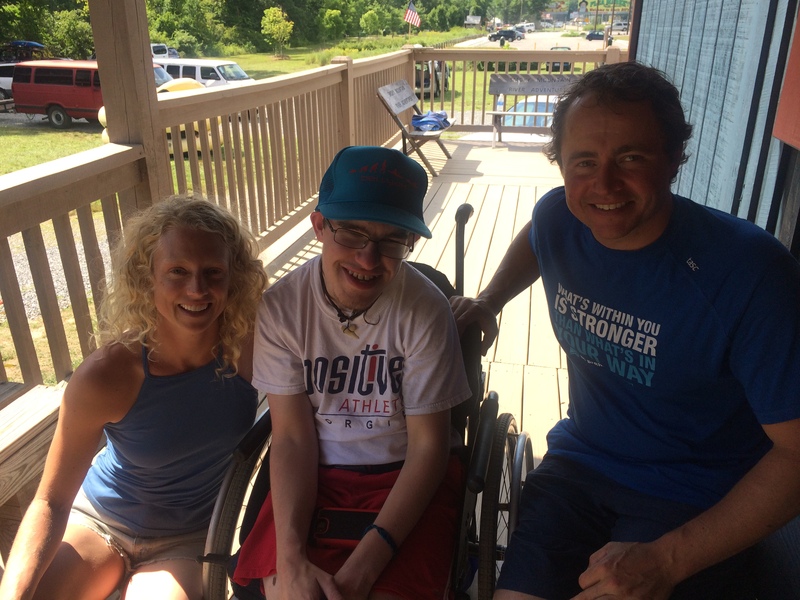 It feels good to be able to get out of my wheelchair and onto my Bellyak and paddle on the river. I’m normally in my chair during the day, so it feels good to be on the river, because I get to be out of my chair for a few hours of fun on the river. I’ve taken the Bellyak down three rivers in the last year. 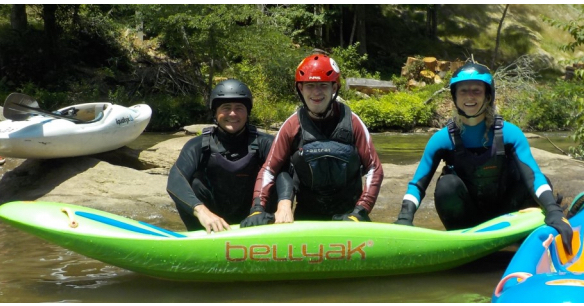 The first river I paddled on the Bellyak was the Cartecay river on the 4th of July in 2015 with Greg Garrard and Dan Brady. The second river was a month after the Cartecay. I paddled the Metro Hooch with Mark Mullinax and Rick Thompson. This past spring, Bellyak had a contest I wrote a blog post about why I like Bellyak (read William’s Blog Here). I won the contest and received a free lesson on the Tuckaseegee River from Bellyak Founder Adam Masters and Instructor Ambassador Trainer Jamie MacLeod . I was excited about the lesson and I loved it. I learned how to steer and turn. 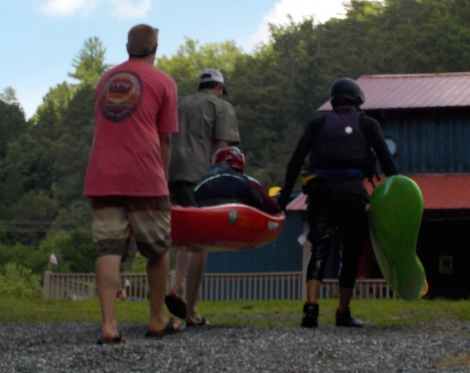 It was fun to run the rapids, and I paddled most of the river by myself. I flipped the Bellyak over once, at the beginning of the run. It leaned a second time, but I recovered and continued to paddle down the river. I finished off the trip with a fruit punch and a Gatorade and I also got a free hat. A few weeks ago, I paddled the Tuckasegee River again. This time, I paddled with mom, my brother John, Greg, his wife Kelly, and a few people from GCA. This was the first time my mom, my brother and I have paddled together, so it was a big deal to my mom. Paddling with my mom and brother was a good thing, cause we rarely do that. It’s normally either mom and I on the river, or mom and my brother on the river. I love to paddle my Bellyak and I enjoy it better when my mom and I get to paddle the river together. Going through the rapids and surfing the waves with Greg was fun. I wasn’t nervous, because I ran the Tuck with Adam and Jamie before the GCA trip. The high water day with Adam and Jamie was better than the low water day with Greg. The low water was harder than the higher water because there were a lot more rocks and I ended up flipping over a few times and hitting a rock with my knee and another one with my stomach. Neither one felt good. At the end of the trip, Mom took us to Manrique’s and I ate a lot of food. Going on a paddling trip has some challenges because there are a lot of things I need help with when we get to the river, like getting my gear on, and getting to the water. I get carried on the Bellyak like it’s a stretcher. And the people who work at Smoky Mountain River Adventures are really nice and they lift me on and off the shuttle bus, and help carry me to and from the river. My mom appreciates all of the help they give her so I can get on the river.